“Offering true uncapped and unshaped simplifies things, as all you are doing is moving more data, not restricting or tampering with it,” said Cool Ideas cofounder Paul Butschi. Its only challenge is scaling with the number of new subscribers who join its network. “You need to plan for your upgrades way ahead of time based on signup and uptake,” said Butschi. Cool Ideas ranked as the top ISP in MyBroadband’s Q3 2017 Broadband Survey, and has been the top provider in the Netflix ISP Speed Indexsince it launched three months ago. 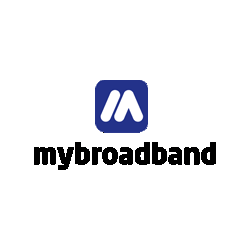 It only focuses on fibre services, and offers home and business fibre connectivity on a wide range of infrastructure providers. “We saw fibre-to-the-home as a way to get into the market without having to invest in expensive IPC, as well as a large set of support staff that would need to support the legacy [DSL] copper network,” said Butschi. IPC refers to IP Connect, the wholesale product sold by Openserve which all ISPs must buy if they want to offer DSL services. IPC is also needed to offer services on the Openserve fibre network. Since Vumatel’s launch in Parkhurst, Telkom has implemented aggressive price cuts on its wholesale products. Since the launch of Vumatel, Cool Ideas has added support for many fibre networks, including DFA, MetroFibre Networx, Frogfoot, SA Digital Villages, Octotel, and Openserve. The biggest challenge in supporting so many networks is maintaining consistent support levels across all of them, said Butschi.